Finding the perfect hearing aid involves matching your lifestyle, budget and hearing loss with the perfect hearing aid brand, model and style. Hearing Choices works with all the leading hearing aids which means we can ﬁnd one suitable for you, no matter you budget. Use our hearing aid ﬁnder to ﬁnd the perfect pair of hearing aids for you! Was your hearing loss caused by noise exposure at your workplace? When are you looking at improving your hearing? Congratulations! Your hearing aid results are ready. We treat your data with strict confidentiality. Your data is safely encrypted. We only use your Phone number to advise you by phone. There are a number of major hearing aid brands available in Australia. All of them offer ground-breaking technology and special features. Click on the brands below to find out about the newest hearing devices on the market today and what they can offer you. Hearing Choices can assist you in your selection as we work with all these leading brands, offering you the best on the market. You have a wide choice of technology, styles and accessories with these manufacturers and it can become overwhelming. You can discuss your choices with our staff – just click on the phone or fill out this quiz and we will get you started. Unitron is a global company that is part of the Sonova group. It is based in Canada and, over the past 50 years, has manufactured award-winning hearing aids. Unitron works closely with Hear the World Foundation providing assistance in the prevention and care of hearing loss in children. Why choose a Unitron hearing aid? Because hearing matters to Unitron. It is a major hearing aid manufacturer, producing not only amazing hearing devices for you, but casing their technology in beautifully designed hearing aids. 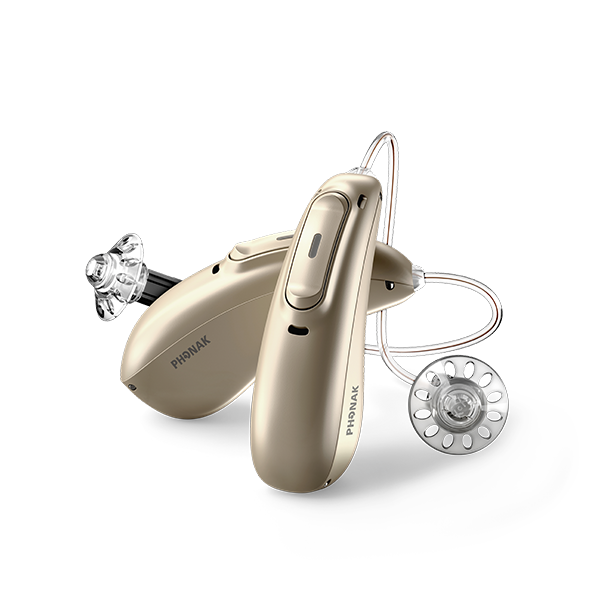 In the Unitron range of models you will find hearing aids that are sleek and durable. You will experience the benefits of binaural processing and SoundCore features. Do you need hearing aids that will cope with water, dust and humidity? Unitron can help. What about rechargeable hearing aids? Yes, you can find these models in the Unitron range. 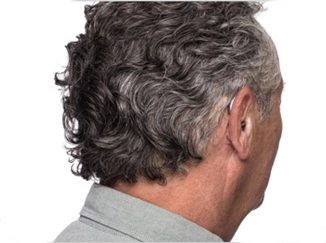 If you’re not sure what level of technology you need, Unitron have the unique Flex:trial system, which allows you to take your hearing aid home to trial in your own listening environment. You can even use it to move to a higher technology level with the Flex:upgrade innovation. This is a great feature as you get to decide what works best for you, in your lifestyle environment. Ready to buy Unitron hearing aids? All Unitron hearing aids which are bought through Hearing Choices and our partner Hearing Healthcare Professionals include a 45 day trial and 3 year warranty. If you need advice on the best solution for your hearing, give us a call on 1300 323 265. We will be able to give you guidance specifically for your communication needs and what Unitron model will best suit your requirements. We will also be able to give you prices on individual models. Hearing Choices will beat any written quote by 5% from an Australian retailer as we provide competitive pricing across the Unitron range of devices. Our customers, on average, make big savings by purchasing Unitron hearing aids through Hearing Choices. Since the early 1900s, Oticon has been dedicated to creating innovative hearing solutions and putting people first. This Danish company is now a part of the William Demant Holding Group and continues to create high end technology to ensure those with hearing loss can lead a more fulfilled life. 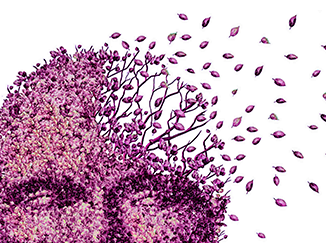 For Oticon, better hearing starts with the brain, so their technology focuses on supplying the brain with appropriate information to make sense of all the sounds in your world. 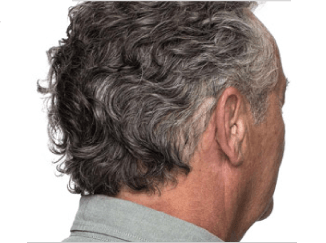 Why choose an Oticon hearing aid? Oticon put people first when they consider their technology. Their latest model, the Opn, demonstrates this with the development of the OpenSound Navigator allowing for 360° hearing in all listening situations, not matter how challenging. There are a range of hearing aid models and styles across the Oticon range to consider, including the Siya, a power hearing aid for people with hearing levels in the severe to profound range. Ready to buy Oticon hearing aids? If you’ve done your research and are sold on the Oticon devices, let Hearing Choices help you take the next step along the road to better hearing. You can discuss your choices with our staff by either calling 1300 323 265, emailing us at hearing@hearinghoices.com.au or just click on the red phone and one of our representatives will be ready to start you on your journey. We will help you get in touch with a Hearing Healthcare Professional who can recommend the right Oticon device for you. Hearing Choices will beat any written quote by 5% from an Australian retailer as we provide competitive pricing across the Oticon range of devices. Prices include our 45 day risk fee trial, full manufacturer warranty and affordable aftercare. Our customers, on average, make big savings by purchasing Oticon hearing aids through Hearing Choices. This hearing aid company aims to give you unlimited access to a world of sound. Based in Denmark, Widex has long been touted as an innovator in hearing aid technology. Their headquarters reach high environmental standards and are CO2 neutral, making Widex leaders in their field in many areas. Why choose a Widex hearing aid? A hearing aid from Widex will utilise ‘machine learning’ giving you total control of what you hear. Technology known as SoundSense Learn listens to your feedback from your listening environment and alters what you hear to enrich your experience. If you have tinnitus, Zen Therapy will relax you and help you to habituate to the tinnitus sounds. And if you want high quality, clear Bluetooth streaming, you can’t go past a Widex hearing aid. Whether it’s the superior EVOKE, excellent BEYOND or if you don’t require Bluetooth streaming, the UNIQUE model you choose, you will have a hearing aid that meets the high Widex standards of unlimited access to a world of sound. Rechargeable battery options are also available. Ready to buy Widex hearing aids? If you’re ready for the Widex hearing experience, Hearing Choices can help you with the next step. You can discuss your choices with our staff by either calling 1300 323 265, emailing us at hearing@hearinghoices.com.au or just click on the red phone and one of our representatives will be ready to start you on your journey. We will help you get in touch with a Hearing Healthcare Professional who can recommend the right Widex device for you. Hearing Choices will beat any written quote by 5% from an Australian retailer as we provide competitive pricing across the Widex range of devices. Prices include our 45 day risk fee trial, full manufacturer warranty and affordable aftercare. Our customers, on average, make big savings by purchasing Widex hearing aids through Hearing Choices. Hearing intelligence and an active mind go hand in hand for Hansaton. If you hear and understand better, you will live better. This German company has been developing innovative hearing solutions since the middle of last century and focus on hearing devices that will keep your brain active. Hansaton is a company with a transparent and open approach to all facets of manufacturing. With its open glass-front manufacturing facility, Hansaton invites everyone into their world of better hearing. Why choose a Hansaton hearing aid? Delivering natural hearing in all environments, Hansaton technology will give you memorable hearing in every situation. HearIntelligence will deliver you all the elements that are paramount to clear, crisp sound. SHD Technology allows the brain to have access to all sounds in the environment giving you back 3D hearing – the HD stands for High Definition and that’s what they aim for. With Hansaton hearing aids you can have any style with their latest technology (sound and jam models). 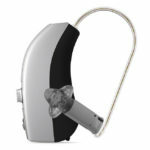 Rechargeable hearing aids are also available (AQ) as are power aides (beat). Ready to buy Hansaton hearing aids? Think a Hansaton hearing aid is for you? If the answer is yes, then let Hearing Choices help you take the next step along the road to better hearing. Call us today on 1300 323 265, and we’ll get you started on the road to better hearing with Hansaton. Hearing Choices will beat any written quote by 5% from an Australian retailer as we provide competitive pricing across the Hansaton range of devices. Prices include our 45 day risk fee trial, full manufacturer warranty and affordable aftercare. Our customers, on average, make big savings by purchasing Hansaton hearing aids through Hearing Choices. Life is on at Phonak! This Swiss company has been developing hearing solutions since 1947 and uses the latest technology to bring the best hearing to their customers. Phonak wants you to hear better everywhere and prides itself on providing the best sound quality in all environments. Why choose a Phonak hearing aid? Autosense technology – that’s why. Phonak has produced a number of hearing aids that allow wearers to seamlessly hear, no matter the environment or the sound. Their binaural streaming allows for exceptional hearing in both ears during phone calls and their Bluetooth technology has universal connectivity. The Audéo RIC series of hearing aids includes rechargeable options as do the Bolero BTE hearing aids. Or you could choose a custom made small in-the-ear device with the Virto models – there’s even a tiny titanium hearing aid! Ready to buy Phonak hearing aids? If you are looking to buy a Phonak hearing aid then let Hearing Choices help you take the next step along the road to better hearing. Call us today on 1300 323 265, and we’ll find the best price on a Phonak device for you. Hearing Choices will beat any written quote by 5% from an Australian retailer as we provide competitive pricing across the Phonak range of devices. Prices include our 45 day risk fee trial, full manufacturer warranty and affordable aftercare. Our customers, on average, make big savings by purchasing Phonak hearing aids through Hearing Choices. 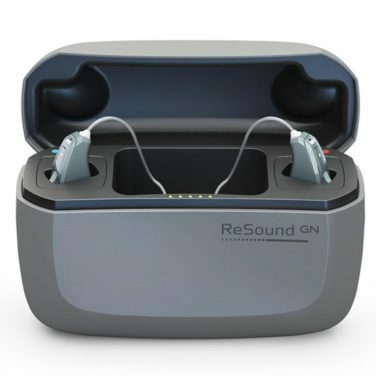 ReSound is a part of the GN Group that has a history in communication devices dating back to telegraph connections in the 19th century. ReSound want life to sound better so their hearing aids aim to make users feel more connected and involved with the world around them. Why choose a ReSound hearing aid? ReSound hearing aid technology enables clearer speech with the use of environmental classifiers. The Bluetooth steaming capability found in these hearing aids is preferred by more than half of hearing aid users and the Music Mode is clearly the top choice with almost 100% of listeners preferring this program. ReSound hearing aids have a number of smartphone apps to assist with not only ease of use but improved personalisation of your listening experience. Ready to buy ReSound hearing aids? If the Bluetooth and Music Mode found in ReSound hearing aids are what you are after then let Hearing Choices help you take the next step along the road to better hearing. Call us today on 1300 323 265, and we’ll find the best price on a ReSound device for you. Hearing Choices will beat any written quote by 5% from an Australian retailer as we provide competitive pricing across the ReSound range of devices. Prices include our 45 day risk fee trial, full manufacturer warranty and affordable aftercare. Our customers, on average, make big savings by purchasing ReSound hearing aids through Hearing Choices. From the year of the bikini, this Swiss company has been developing design-winning hearing aids - that’s more than 70 years of innovation! Your hearing is their passion and their aim is to develop innovative hearing solutions to empower people to hear and communicate better. Bernafon is part of the William Demant Holding group and sits alongside Oticon, Sonic and Sennheiser technology. Why choose a Bernafon hearing aid? Bernafon hearing aids will suit any lifestyle and focus on speech understanding in any situation. Their latest technology can be found in the Zerena model. This hearing aid is available in the RITE and BTE style and will give your exceptional listening. It also has a rechargeable option. Music quality is delightful and your listening effort will be reduced. The Zerena is available across five performance levels so will suit any budget. The Juna model is only available in advanced and premium technology levels and was the Bernafon premium product before the introduction of the Zerena. 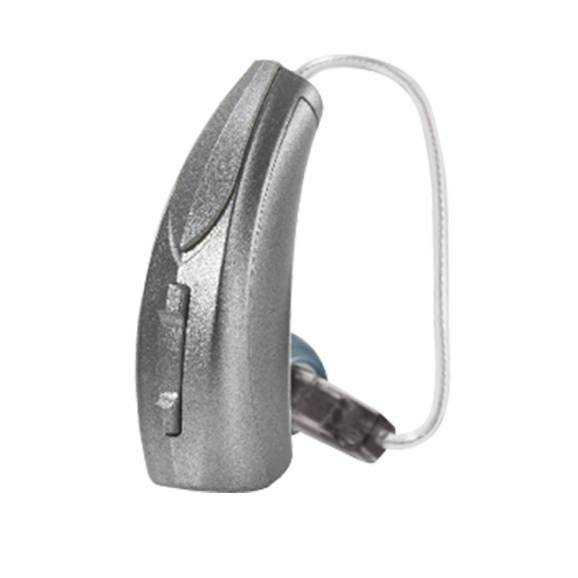 If you have hearing in the severe to profound range, the Supremia Super Power BTE hearing aid will give you a new depth of hearing. Bluetooth connectivity is available in both the Supremia and Zerena models. The Carista is available in the basic and standard technology levels and a variety of styles. It is an affordable and easy to use device. Ready to buy Bernafon hearing aids? If you would like to discuss the Bernafon hearing aids with Hearing Choices call us today on 1300 323 265. Hearing Choices will beat any written quote by 5% from an Australian retailer as we provide competitive pricing across the Bernafon range of devices. Prices include our 45 day risk fee trial, full manufacturer warranty and affordable aftercare. Our customers, on average, make big savings by purchasing Bernafon hearing aids through Hearing Choices. Signia is where life sounds brilliant and looks pretty good too! Signia sits within the Sivantos group and is stamping itself as a major player in the hearing technology field with not only innovative technology but beautifully designed hearing aids. Why choose a Signia hearing aid? Signia hearing aids stand out from the crowd with a number of unique features. Their hearing aids provide own voice processing (OVP) by giving back hearing aid wearers the natural quality of their own voice. Signia aids also use technology 3D classifier that uses spatial and motion information to provide the user with a brilliant experience, even during exercise! And this year, Signia introduced a different style of hearing aid with the Styletto. Using design research on how users want the latest technology to look, Signia have transformed the style of hearing aids. Signia hearing aids also have the option of rechargeable batteries. Ready to buy Signia hearing aids? If the stylish Signia hearing aids seem right for you, why not give Hearing Choices a call on 1300 323 265. We will be able to give you guidance specifically on what Signia model will best suit your requirements. Signia hearing aids bought through Hearing Choices and our partner Hearing Healthcare Professionals include a 45 day trial and 3 year warranty. Our customers usually make big savings by purchasing Signia hearing aids through Hearing Choices. We will beat any written quote by 5% from an Australian retailer as we provide competitive pricing across the Signia range of devices. Our customers, on average, make big savings by purchasing Signia hearing aids through Hearing Choices. Starkey is an American-based company and has led the way with many ‘firsts’ in hearing aid technology. They continue this tradition with the world’s first ‘Healthable’ hearing aid to be released in 2019. Empowering people across the globe to hear better, is their driving force behind the Starkey mission. The Starkey Hearing Foundation has given the gift of sound to over a million people in developing countries since 1984. Why choose a Starkey hearing aid? Intelligence in hearing aids is Starkey’s technological goal. Their hearing aids aims to give you an enriched listening experience with acuity immersion features. Interactive intelligence alters with your sound environment, giving auditory signals in real time, even as they change. 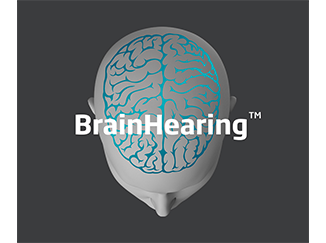 And coming in April 2019, the Livio AI hearing aid will be released. This ‘Healthable’ hearing aid will not only give you wonderful hearing but also track your health across a number of parameters. It will even let your loved ones know if you’ve had a fall. Read more about this amazing hearing aid in the What’s new in hearing aid technology? section. Ready to buy Starkey hearing aids? For the latest Starkey hearing aid technology and prices, call us hear at Hearing Choices on 1300 323 265. All hearing aids bought through Hearing Choices and our partner Hearing Healthcare Professionals include a 45 day trial and 3 year warranty. If you need advice on the best solution for your hearing, we will be able to give you guidance specifically for your communication needs and what Starkey model will best suit your requirements. We will also be able to give you prices on individual models. Our customers usually make big savings by purchasing Starkey hearing aids through Hearing Choices. Hearing Choices will beat any written quote by 5% from an Australian retailer as we provide competitive pricing across the Starkey range of devices. Our customers, on average, make big savings by purchasing Starkey hearing aids through Hearing Choices. Interested in the latest hearing aid features? Hearing Choices works with the leading technology such as rechargeable batteries, bluetooth streaming and some of the smallest devies available in Australia. Hearing Choices stocks a range of invisible in the canal devices (IICs) that are almost invisible to the naked eye. Tiny but packed with power, these products are popular among younger, first time wearers who are just easing into life with hearing aids. Learn more about invisible hearing aids by clicking the icon above. Want to avoid having to change batteries on your hearing devices every few days? Rechargeable technology is getting better and battery life is lasting longer than ever. Learn more about the latest rechargeable hearing aid devices by hitting the battery icon above. Hearing aids are now able to sync with your smartphone or tablet. Stream phone calls and audio such as music or podcasts directly to your hearing aids. Find out more by clicking the link above. Tiny discrete devices that can be invisible to others. Generally easiery to use on the telephone. Less powerful hearing aids due to smaller size and can cause a “blocked” feeling in the ear. Suitable for a wider range and types of hearing loss. Dual microphones give better performance in noise. It can be very difficult to compare brands of hearing aid device manufacturers. The hearing device market is a diverse one with many players. It can be hard to know where to start. You’re not alone. As Independent provider we can help you better decide on which device is for you. We offer the best hearing solutions from all of the big brands. At Hearing Choices we work with the leading manufacturers, together with our partner of network clinics located around Australia, we will help you find the very best hearing aid to suit your lifestyle, budget and hearing loss. Choosing the right brand or model for you doesn’t have to be confusing, a hearing choices consultant can help guide you through different options no matter your needs or budget. You can check your eligibility on the Hearing Services Program website. How Do I Access Services If I Meet The Criteria? Visit a hearing services provider who can help you apply. Not all Hearing Healthcare Providers are registered hearing services providers. You can check if your Audiologist or Audiometrist is a provider here. Download a paper application form here. Phone the Hearing Services Program on 1800 500 726 for an application to be mailed to you. Once you have applied and you are deemed eligible, you will receive a Welcome Pack that will include information on the program and a list of hearing services providers in your area. You will need a medical certificate from your GP to take with you to your chosen provider. This is a requirement so the provider can claim for services provided to you. follow up appointments to ensure your hearing aid is working properly and you are receiving appropriate benefit from it. There are many styles of hearing aids, and you should have a good understanding of these before you select your hearing aid. The style you choose will depend on your preference, your hearing loss, and what your Hearing Healthcare Professional considers the most appropriate for your hearing needs. It’s best to keep in mind that what you want, may not be the most appropriate style for your hearing and/or your lifestyle. Discuss your preferences with an open mind to discover the pros and cons of each style. 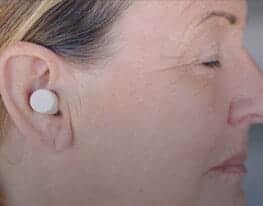 Behind-The-Ear (BTE) – The most familiar style of hearing aid with all components cased in a piece that sits behind the ear and is connected to an ear mould (custom or dome piece), which carries the sound into your ear canal. These hearing aids are usually the most powerful ones. Receiver-In-Canal (RIC) – Being a smaller BTE hearing aid, this is a discreet style of hearing aid. These can come in a variety of styles or sizes, depending on what the manufacturer develops. They have an ultra-thin tube carrying a wire to a dome or custom made ear piece (ear mould), which holds the hearing aid receiver. This part, as the name suggests, sits in the ear canal. In-The-Ear (ITE) – A custom made hearing aid, where a hearing professional takes an impression of your ear. Being the largest inside the ear style it will accommodate hearing losses up to the severe range. The ITE is easier to handle for those with dexterity issues. In-The-Canal (ITC) – A smaller version of the ITE and can come in a variety of sizes, depending on what the manufacturer develops. The ITC offers a more discreet hearing aid style, with a smaller portion of the hearing aid visible in the outer part of your ear. Completely-In-Canal (CIC) – Hidden completely in the canal, this tiny device is barely visible. This device will have a thin, clear removal handle (think fishing line). The removal handle is the only part that can be seen outside the ear canal. Invisible-In-Canal (IIC) – This style sits deep in the ear canal and is custom-made hearing aid. A very deep impression of your ear canal is required for this type of aid. IICs are completely invisible in most ears. What’s New In Hearing Aid Technology? It seems that every day there’s a new breakthrough in hearing aid technology – sometimes it’s hard to keep track! Check back here regularly to see what’s new and exciting in hearing aids. Own Voice Processing – OVP by Signia – Clinical studies have shown that most hearing aid users don’t like the sound of their own voice through their hearing aids. 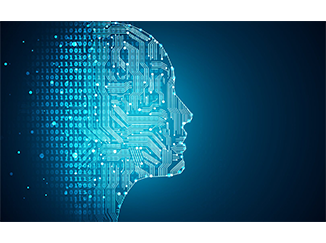 Signia took this information seriously and set out to develop the OVP – Own Voice Processing feature. Evidence suggests that if your own voice sounds more natural, you are more likely to accept your new hearing aid and get used to wearing it very quickly. Signia tested this with unhappy hearing aid users and found that 80% had significant improvement in hearing aid acceptability with OVP. Read about the benefits of OVP here. Marvel at the new – Phonak Audeo Marvel – Released in late 2018, this hearing aid claims breakthrough technology as it supports direct streaming to both ears for both Android and iPhone devices. Using artificial intelligence to learn and adapt from your listening environment, the Marvel will provide you with an unmatched listening experience. It utilises lithium-ion rechargeable batteries and comes with a suite of smart apps – ‘eSolutions’. Read more about this marvellous hearing aid here. 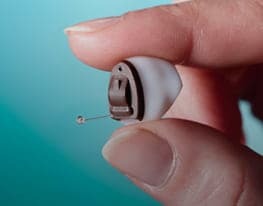 Healthable Hearing Aids – meet the Starkey Livio AI – With the release date of April 2019, the world’s first ‘Healthable’ hearing aid is much anticipated. Not only will this hearing aid give wearers remarkable hearing in all listening situations, it will also track their brain and body health. It comes with a translator feature enabling more fulfilling travel experiences for users. Plus the motion sensors in the hearing aid add another feature – the fall detector. You can set up the hearing aid to contact loved ones immediately should you have a fall. This is a brilliant inclusion in an already packed-full of features hearing aid. Read more about this whole new world of hearing possibilities here. Who is your Hearing HealthCare Provider? Are they Audiologist or an Audiometrist? And what’s the difference? Audiologists are university-trained professionals in the assessment and rehabilitation of hearing loss for both adults and children. Audiologists work in hearing centres, hospitals, community health, research centres and private practice. They also have in-depth training in diagnostic assessments of hearing and balance disorders. In Australia, only Audiologists can fit hearing aids to children. Audiometrists are vocationally-trained (usually at TAFE) in the assessment and rehabilitation of hearing loss for adults. Audiometrists mostly work in hearing centres but also work in community health, hospitals and private practice. Some Audiometrists are trained in basic hearing testing for children. There are a lot of similarities in these professionals, but most importantly they are there to care for you and your hearing needs. Both professional groups are thoroughly trained in the fitting of hearing aids and the rehabilitation process that follows fitting of the device. Communication goals and hearing tactics are an important part of this process. An audiogram is a graph where your Hearing Healthcare Professional records your hearing test results. Think of it as an inverted graph that shows how well your left ear (the ‘cross’ marks – sometimes in blue) and your right ear (the ‘circle’ marks – sometimes in red) hear. The closer your crosses and circles are to the top of the graph, the better your hearing is. The graph not only shows how loud the sound had to be made before you heard it, but it also looks at what pitches or ‘frequencies’ in the speech spectrum are affected. 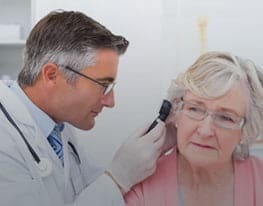 When you have your hearing test you will hear tones of various pitches and the clinician is trying to find out the softest sounds you can hear across the frequency range of the speech sounds we commonly hear. You may have other tests at your hearing assessment appointment (speech tests, middle ear analysis, for example), but the audiogram is the basis of the assessment and what is used predominantly to ‘prescribe’ an appropriate hearing aid for you. Make sure you understand what the audiogram is telling you about your hearing range. Ask questions so you get an idea of how this could be affecting your communication and what is the best option moving forward to get your hearing to the best it can be.